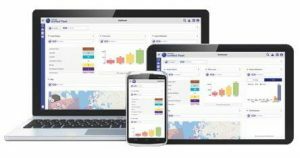 VisionLink, an easy-to-use web interface, turns telematics data into insights about asset location, operation, health, productivity and more. Unified Productivity: Ensure machines are being operated at optimum efficiency. VisionLink Unified Suites Overview – Unified Suites is a modular and mobile-ready asset monitoring platform that you can access from all types of desktop, laptop and mobile devices. It gives you more insight than ever before into the performance, productivity and condition of your equipment with four powerful new fleet tracking apps. VisionLink Unified Fleet – Designed for fleet & equipment managers, owners & operators. Provides access to asset telematics including hours, location, idle time, asset operation and fuel utilization. A complete solution for asset management. VisionLink Unified Service – Designed for those focused on maintenance. Provides access to equipment fault codes, fluid sample results, Cat Inspect inspection results and maintenance functionality. A great application for monitoring machine health. VisionLink Unified Productivity – Provides a consolidated view of productivity information. Combines utilization, payload and Load & Cycle monitoring data into a single application. VisionLink Administrator – Provides administrative functions to the Unified Suite of applications. Enables the management of asset settings, users, reports, notifications, groups, projects and the configuration of mixed-fleet data integration.